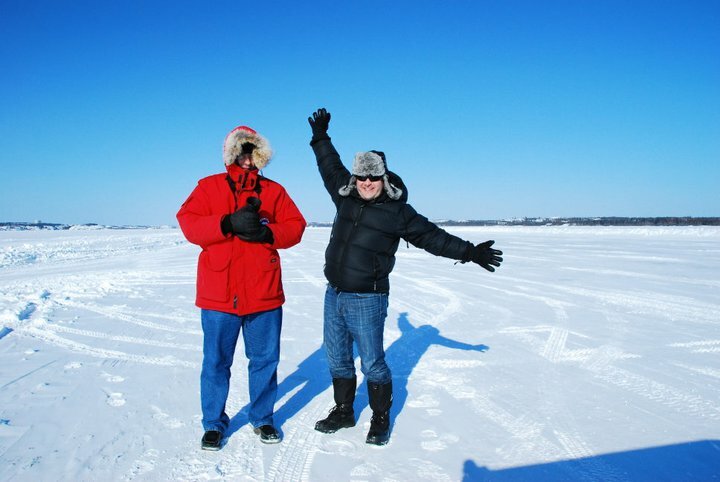 My brother and I having some chilly fun on the Ice Road. Can you tell which of us is quiet and which is out-going? This entry was posted in Steve Sharam and tagged ice, photography, road, winter, Yellowknife. Bookmark the permalink.